Okay, you want your teenager to be more responsible with money. Do you remember when you were a teenager? Did you act responsibly with your money? What were some of the things your parents did to teach you about handling your money better? In this article we will discuss some of the ways you can teach your teen to be responsible when it comes to both money and credit. We will discuss several options in regards to credit and cash management for teenagers. Many of us, even as adults, don’t really know a lot about money management. This article may also help you as an adult manage your money and credit better. First let’s discuss goal setting. Why do you need to manage your money? What are you trying to accomplish? The first thing you can introduce your teen to and maybe even yourself to do, is tracking where your money goes. How many times have you asked, “Where did I spend all that money?” If you have ever asked that then tracking your money can give you great insight into managing your budget better. There are workbooks you can buy or you can use a simple notebook. Have your teen do this with you so you can both learn together. If you make it a family experience, your teen is more likely to pay attention and participate, because they will get to see how you manage your money too. When you review your workbooks together, trade them. Each of you can mark what expenses the other probably should not have paid out and how much money you could each have saved if you didn’t make those extra expenditures. 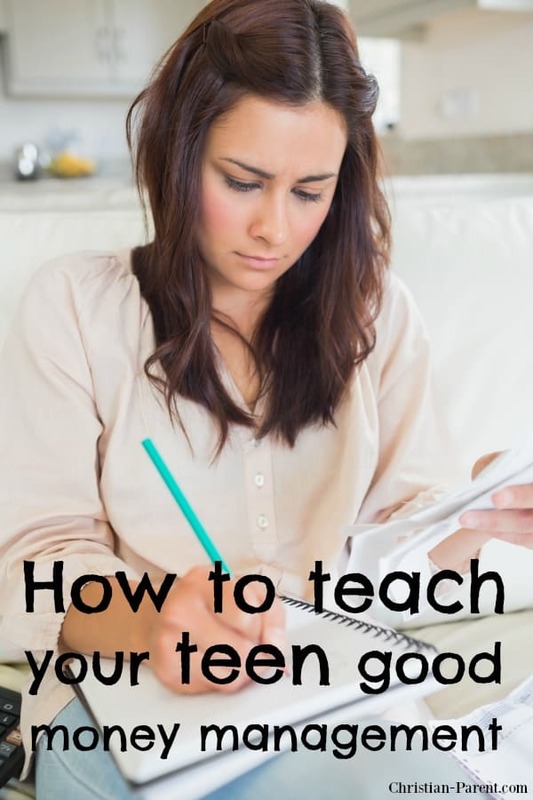 It isn’t a bad idea for you to make a couple of mistakes on purpose so your teen gains confidence that they can handle their money and identify what expenditures were not necessary. You need to understand that the spending habits your teenager acquires in their teens will stay with them for the rest of their life. An allowance is okay, but just until they get a job. Never make the allowance enough to get the things they want most. Make them learn to save their money up to buy those things. Once they do have even a part-time job, no more allowance. They will respect the money they earn a lot more than the money you give them. When your teenager is around 16 and has a job, help them open their own checking account. Teach them how to balance their checkbook. If you have been doing the workbook with them, this should be easy. You can help them get a prepaid credit card or teach them how to use the debit card that comes with their new checking account responsibly. Again, if you two have been doing your workbook and marking down everything you spend money on, managing a debit card will be easy. 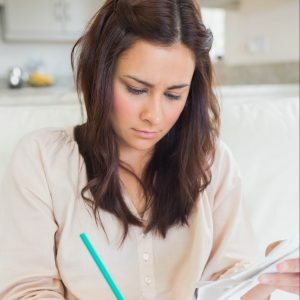 Also by continuing to do the workbook, you will both learn how to save more money because you will be more aware of where your money gets wasted. We all want to help our teens and we want to buy them nice things, but as parents we also need to teach them responsibility. Nowhere is that more important than teaching them to be responsible with money and credit. Buy them the necessities, but make them pay for the extras. That applies to clothing, school supplies, or anything else, especially where your teenager decides they want the better, more expensive version of the items in question. Let them pay for the extras and they will appreciate their money much more or will learn to do without the most expensive item. If you help them with the purchase of a car, offer to match them dollar for dollar toward the car. If you do plan to buy the car for them, make them responsible for the payment of the insurance, gas, and other extras. Buying cars on loan also help in building responsibility as they would be in charge of the monthly payments. To know more on car loans visit https://wowloans.net/. That will also have the added benefit of teaching them to respect and take care of their automobile. I hope this article has given you some ideas about how to teach your teen how to handle credit and money. Just to repeat one thing, remember that what you teach your teen about money and credit now will determine how successful they will be later in life. So take the time to teach them.